In WordPress 5.0 new content editor Gutenberg was added into the core. It completely changed post editing admin-page and the way the content was written. On some sites, such drastic changes can break the current functionality, so there this editor will need to be disabled. In this short article, I show you how to return the old WordPress editor by using code or by installing a plugin. The hook use_block_editor_for_post_type allows disable block editor (Gutenberg). 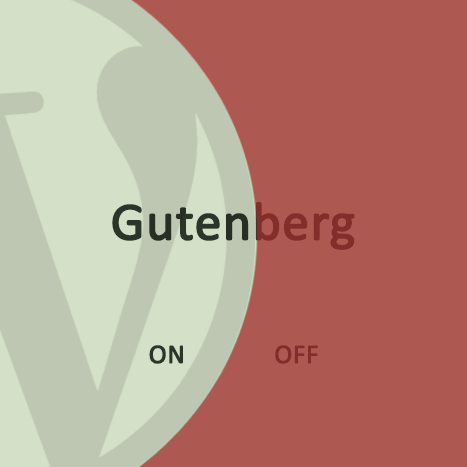 ## Disables Gutenberg (new block editor in WordPress). Classic Editor plugin disables Gutenberg block editor. If you want to leave Gutenberg on site (to be able to edit some articles in the new editor, and others in the classic one), then hard disabling using code variant is not an option. In this case, it is better to install the plugin "Classic Editor". After installing and activating the plugin, you need to go to the settings page: Settings > Writing and choose which of editors will be used by default, as well as give/deny the ability to select the editor to users. The principle of the plugin is based on the hook use_block_editor_for_post_type. ❮ Do plugins slow down WordPress?